Society has yet to fully anticipate the massive transfer of power that will accompany mandatory insurance provisions in the Patient Protection and Affordable Care Act (ACA). With income from premiums comes clout. With clout comes the ability to shape public policy. We live in an era that accepts (in my mind, unconstitutional) Federal policy which permits detention without trial. I am troubled at the prospect that this practice will mushroom for those whose mental challenges inhibit self-advocacy. After being asked to investigate racial injustice in Portland Police use of force, the DoJ countered with a remedy that uncorks a new, police-to-hospital-bed pipeline. I’m concerned by a lack of judicial oversight as vulnerable populations get flushed away. Instead of putting say, paramedics, in charge of delivering services to those perceived to be in mental health crisis, the currently proposed Agreement puts culprits of unconstitutional conduct – Portland Police – in charge of mental health needs assessment and getting those in need into care. The Agreement has permitted our mayor to walk away from funding a program specifically designed (following the police homicide of Aaron Campbell) to work with police and local hospitals and triage individuals to clinically-appropriate care. The Mayor’s scaled-back plans for drop-in centers are more amenable to police, and fall far short of opportunities the mentally challenged had prior to the DoJ investigation. UPDATE: In a February, 2014 Federal Hearing, the DoJ & City of Portland declared drop-in centers ‘merely aspirational’ in the Agreement. They are not expected to be implemented. Cindi Fisher, of M.O.M.S. points out that – as all health care costs for all parties are covered under the Act – there will be enormous incentive to fill beds. She cites benefits to hospitals on the order of $580 per bed per day. Medications will form another profit center. As the Affordable Care Act rolls out, I hope you will consider that we enter a new era in law. The case of Dominique Jamerson requires your attention. While the nation has had many safeguards, to prevent detention without trial, these have historically applied to the criminal justice system. We must now observe how the rights of vulnerable populations – such as those experiencing mental challenges – also accrue the same protections when in medically indicated incarceration. 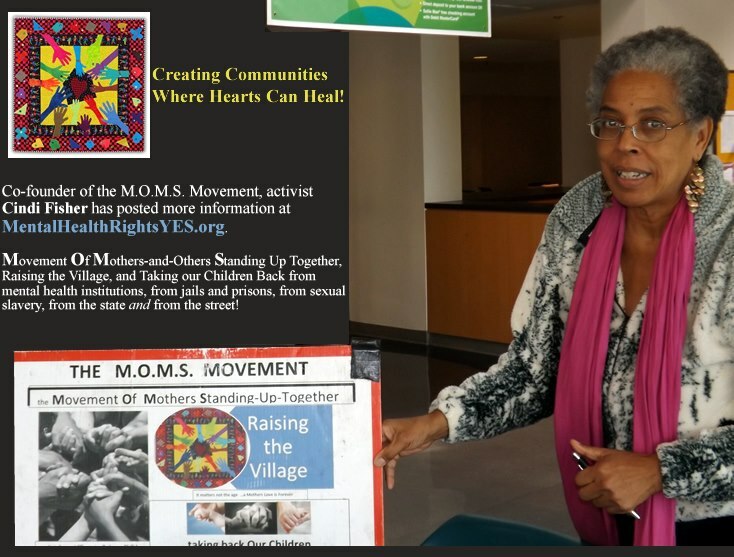 I join Cindi Fisher and M.O.M.S., in calling for your assistance in assuring civil rights protections are afforded to all who find themselves in Jamerson’s position. We must be vigilant for racial disparities as to who gets incarcerated … particularly as it becomes almost unimaginably profitable for care providers to detain them. ALL those who cannot advocate for themselves must have representation on par with what the nation grants indigent defendants facing trial. The nation’s bias toward freedom requires an extension of such representation in cases of detention by health care providers. Please do what you can to see that evidence exonerating Jamerson gets presented to a court. Work with your relationships to initiate hearings to assess Western State Hospital’s ‘Competency Restoration Policy’ for deficiencies. We must work together to make effective the initiating clause in Obamacare: Patient Protection. Does legal representation end, when a public defender flips his client? As we enter this new era, will we expect over-burdened public defenders to have the training and capacity to assist those in hospital custody? Is this the best subset of legal professionals to now secure our civil rights rights in new arenas of detention? What kind of fusion should those in need seek, between health care advocates and legal counsel? M.O.M.S. presents to The New Jim Crow group in Portland. Mike Tikkanen, board member at a children’s rights advocacy network, Kids At Risk Action, re-posted the above, “In KARA’s pursuit of better answers and a more public discourse on the topic, we invite your insights, experiences, and articles to clear the air.” Read more of his critique here. I think they are doing this under Administrative Law. The same law that detains foreign “terrorists” at Guatanamo. This things are all unfolding since 9/11. Since this is a “war on terrorists”, all terrorists, even the Homegrown Terrorists and the “potential terrorists”, those who are members of Peaceful Protest Movements for instance are being surveilled. The mentally ill pose a potential “threat”, therefore they can be detained against their will if they are perceived as a threat. Police refused me my rights to police reports made by others saying they are “protecting their privacy”, they also refused to allow me to address the erronious police reports that I had in order to have them ammended which they refused me. Nobody would help me as they are clueless as to the impact and inportance of this issue.